What makes this small, pink house in South L.A.’s Vermont-Slauson neighborhood so special? Maria Chan knows every inch of it. From the stove where she’s cooked a thousand meals to the multicolored stuffed animals hidden beneath her daughter’s princess bed and the shelf filled with her children’s gleaming trophies, everything holds stories, memories and milestones. For Maria and her family, it is home. It’s vital to have community members at the table. Maria worked hard for this place. Just a month after signing the lease, she and her husband received a letter from the bank saying that the house had been sold and they had three days to leave. “We went to a lawyer who said we couldn’t win against a bank. But we decided to fight.” It was when all other avenues were exhausted that they found someone who could help. 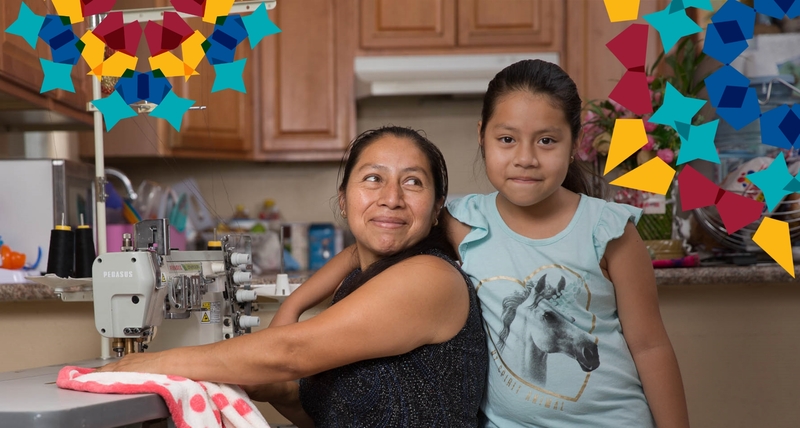 For more than two decades, CCF grantee SAJE (Strategic Actions for a Just Economy) has empowered families in South L.A. like Maria’s to stand up for themselves so they can live in safe, healthy homes and communities. Maria’s story isn’t unique. L.A. County is experiencing unprecedented economic growth. Our $160 billion investment in expanding public transit promises to transform neighborhoods, but not always for the better. As new stations open, rents increase, often forcing out the people who depend on public transit. CCF partner ACT-LA was formed with the idea that civic engagement is the key to lasting change, that we can only move forward when engaged communities and organizations come together. Rather than jumping from project to project to protect the rights of residents, ACT-LA’s 35 member-organizations, including SAJE, realized they needed a voice in policy decisions. All across Los Angeles County, community plans are being updated. 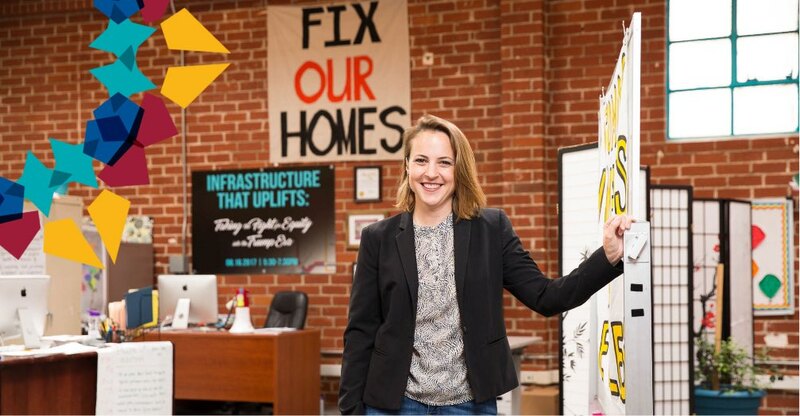 ACT-LA created a toolkit containing policy options to prioritize affordable housing, uphold tenant protections, create good jobs, protect small businesses and promote safe, healthy and livable communities. That presence is already paying off. 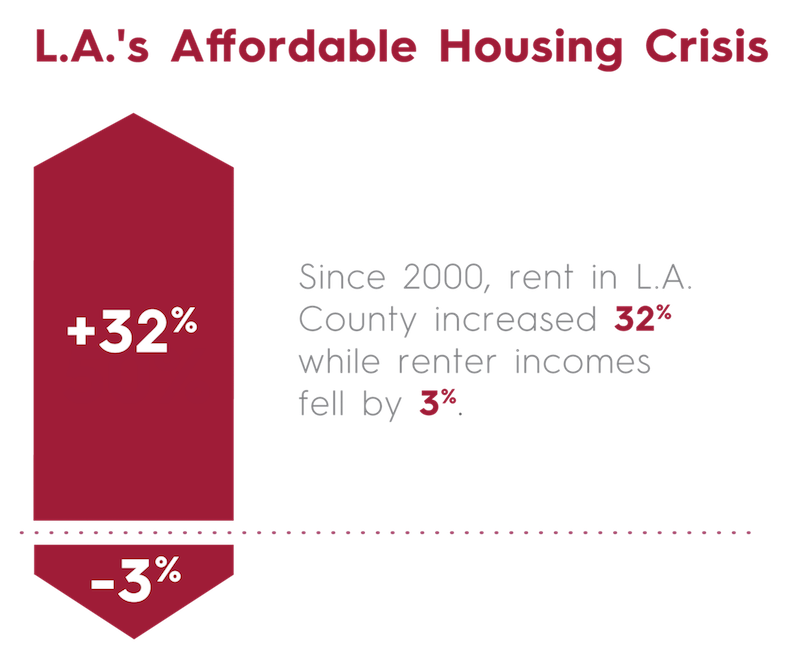 ACT-LA, working closely with community members and organizations like SAJE, helped create and pass the City of L.A.’s Transit Oriented Communities Affordable Housing Incentive Program, which has spurred development of more than 5,500 homes, including 1,145 affordable units, in its first 10 months. The program uses smart trade-offs, like allowing more units per site with fewer parking spaces for those who can take transit. What do we want our future to be? Do we want our children to experience the incredible diversity of Los Angeles? Do we want healthy homes, thriving neighborhoods and engaged communities? If so, we must grow together, allowing all Angelenos to contribute to and share in equitable prosperity. Amid the hum of the sewing machine and the laughter of her children, Maria smiles. This is what she fought so hard for. Not these walls, but the joy they contain. A place her family can feel safe, where they can live, learn, work and play. Home. The Home L.A. Loan Fund provides a risk-free way for donors to fight homelessness in Los Angeles. The fund allows donors to provide seed capital to build units of supportive housing, which combines long-term affordable housing with integrated services and is proven to be the most effective way to combat chronic homelessness. When the loans are repaid, the initial investment is returned to the donor’s fund with interest. 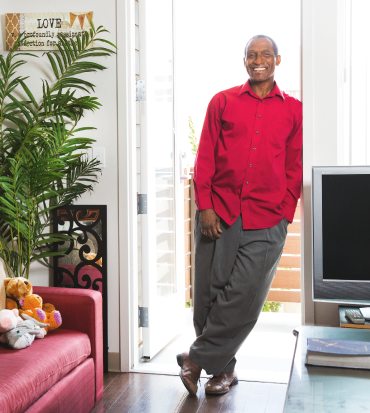 In its first year, the Home L.A. Loan Fund invested more than $4.3 million.